Sitting about 3 million feet up in the air on my first attempt at bungee trapeze I was shaking and wondering why on earth I was doing this to myself?! Three, two, one! I arched myself backwards off the trapeze before being bounced back up to do it all over again! It was terrifying, and awesome! 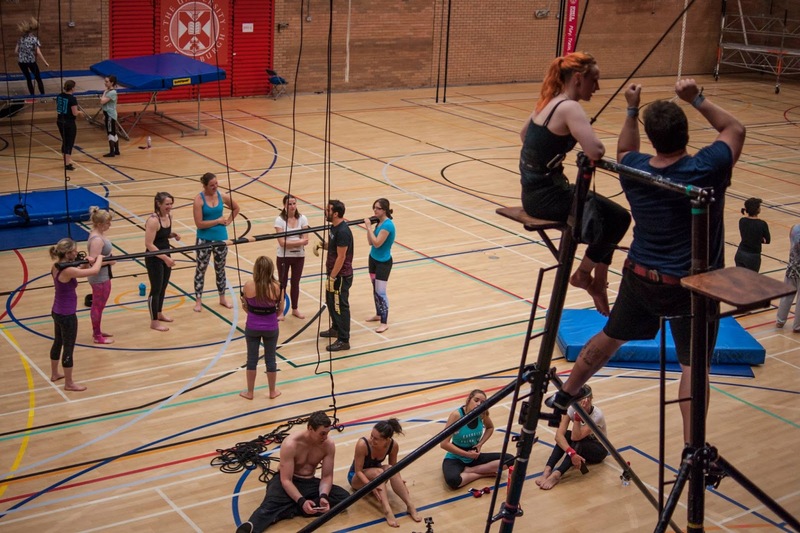 Myself, Stephen, Jo, Darren, Susie and Rachel attended the tenth Edinburgh Aerial and Acro Convention in Edinburgh and for three days lived ‘circus everyday’. It was better than Christmas! The breadth of workshops was incredible, we tried Korean cradle, Russian bars (pictured) and cyr wheel, as well as improving our existing skills; with over 400 workshops over the three days the difficulty was fitting it all in! We realised that contortion is definitely not our forte, squats are essential for Korean cradle, we all desperately want a cloud swing and that Susie’s scream can stop an entire gym! Our teachers and fellow attendees had come from all over the world for the convention and meeting new circus friends was one of the best bits! 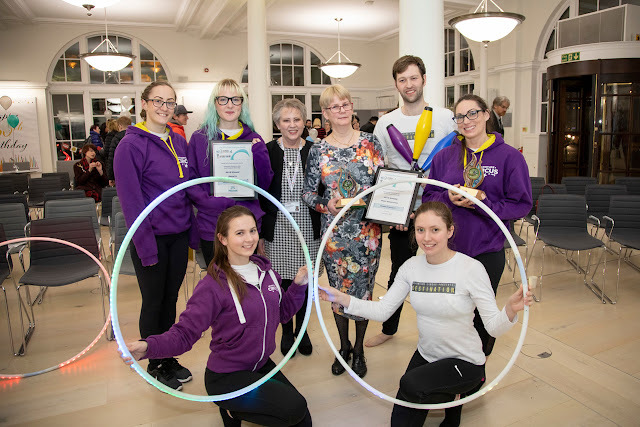 Saturday night’s show showcased many of our incredibly talented teachers and was truly inspiring, showing us all what it’s possible to achieve! It was amazing fun and I know we all can’t wait for next “Christmas”!